- WHEN ONE PAGE ISN'T ENOUGH. Suitable for use in windy and wet places. 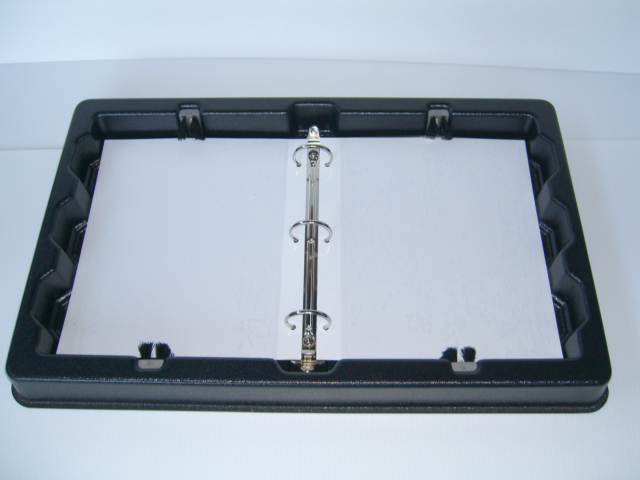 The page holders can be heat sealed to protect the contents. Any place where more than one page needs to be easily accessable. If you want to order in more than single quantities please contact us for the shipping costs as the web site's shipping calculator is not able figure out how to pack economically. The Information Board's pages are held firmly with unique brushes at the top and bottom and yet the pages can still be turned easily. The heavy duty three ring mechanism can be locked in the closed position for added security. These Pages are made of a thick stiff white vinyl with a clear glare free pocket on both sides to hold 8-1/2" x 11" pages. 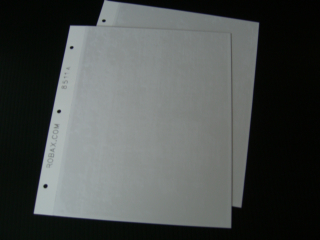 With standard 3-hole punching. They can be heat sealed to protect the contents from water, spray, etc. Sold in packages of ten. 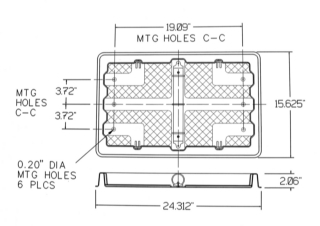 The Information Board has six 0.20" holes to suit most mounting needs. The 1/4" flange also allows for attaching with double-sided adhesive tape..